MK Event's big show at the Cirque d'Hiver in Paris will go ahead with Mehdi Amar (32-4-2) vs Serhiy Demchenko (16-9-1) for the vacant EBU title as headliner. Cedric Vitu vs Isaac Real (a mandatory defence of Vitu's EBU superwelter title) is off after both fighters was injured. Also off is a fight for the EU superlightweight title between Franck Petitjean and Samuele Esposito after Esposito was injured and it was no substitute could be found and Petitjean is off the bill as well. On the interesting undercard former middleweight champ Hassan N'Dam (32-2) takes on Pole Robert Swierzbinski (16-5-1). Superlightweight Chaquib Fadli (13-6) clash with Renald ”Lion” Garrido (16-13-1) and welter Ahmed El Mousaui (23-2-1) face Victor Plotnikov (34-3). 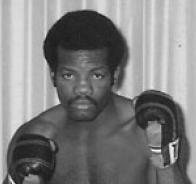 Former French welter and superwelter champ Fred Coranson (pictured) has passed away at the age of 64 in Dunkerque. Coranson was around in a what was a very good era for French boxing and fought the likes of Said Skouma, Alain Ruocco, Georges Warufsel and Louis Acaries. He held national welter title in 78 and the superwelter ditto in 82. Overall he compiled a record of 37-19-4 fighting professionally from 1974 through 1985. German-Turkish Heavy Agit Kabayel (14-0) is in the Tyson Fury champ sparring with the champ as he prepares for the fight against Dennis Lewandowski (9-0) for the vacant EU title June 4 in Magdeburg. Lewandowski is even taller than Fury and is thus a suitable sparringpartner – also in the Fury camp is as previously reported Robert Helenius, also a big man.